« Is Your Blog Ready for Web 3.0? FeedBlitz is a feed subscription service which includes feeds by email. According to Feedblitz, 11% of web users use feeds and feed readers to track favorite blogs and sites, which leaves a lot of your blog’s visitors struggling to keep up with the latest posts and news from your blog. Since email is a more familiar method of communication, having your feed emailed gets your updated blog news to your fans in a more comfortable fashion. Basically, it is another option to get and keep blog subscribers on your WordPress blog. It turns your feed into a type of email newsletter. You can update your blog once a day or twenty times a day. The subscriber still gets one email a day summarizing any activity from that day for all the sites they’ve subscribed to with FeedBlitz. The Lorelle on WordPress Full Blog FeedBlitz Email preview is an example of what email subscribers would see in their email inbox from this blog. With the free version, you can control the size of the post content from post title to full posts. You can link your Feedburner account to FeedBlitz and get your feed statistics all in one place. FeedBlitz works with all types of feeds. Any product that gets email will work with FeedBlitz’s feed emails, so you can get them delivered to cell phones or PDAs. The service is free. There are no ads, no popups, or email spam. You can learn more about how it works through the FeedBlitz FAQ. Integrating a FeedBlitz email subscription into the full version of WordPress is actually easy, though you do need access to edit your WordPress Theme template files. Integrating FeedBlitz into your WordPress.com blog is also easy, but different due to the free hosting service’s restrictions. FeedBlitz offers two core types of services. The first is to allow anyone to subscribe to any web feed via email. This is called a subscription. The second is to manage your blog’s feeds for emailing to subscribers. This is called syndication. To put FeedBlitz on your blog, you will work with the syndication option. 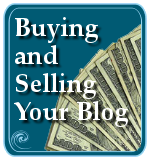 Register with the free FeedBlitz Blog Publishing Services to get started and set up your blog for syndication. Once the feed has been verified, you will be provided with instructions and code to add the email subscription information to your WordPress blog. Edit the appropriate template file in your WordPress Theme in which you want the email subscription form to appear. Typically, this is the sidebar.php template file. Save the template file to your WordPress Theme folder and take a look at your new feature on your blog. To integrate FeedBlitz into your WordPress.com blog is not the same but it is simpler. There is no access on a WordPress.com blog to the Theme template files. Adding code in the Sidebar Widget Text Boxes won’t work. The HTML for the email form will be stripped away. Don’t despair. It only takes a little creativity and ingenuity to make this work. You can call this link “FeedBlitz Feed Email Subscription”, “Subscribe by Email”, “Feed by Email”, or any name you want that helps your blog readers identify what it is. 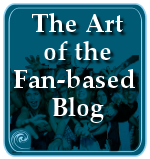 You can use this link anywhere in your blog posts. For example, if you would like to receive a report via email on this blog’s daily activities, sign up for the email subscription here. It’s that easy. 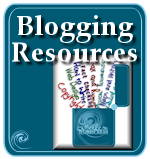 You can add this email subscription link to your sidebar through the Blogroll list of links. Create a graphic button or icon to replace the text in the Blogroll link, such as I have in the sidebar here. Add the graphic in the Advanced section of the Blogroll Add Link panel. 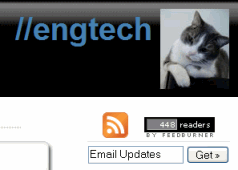 Stymied with the inability to add the email form to a WordPress.com blog, Engtech decided to be even more creative and use the email form FeedBlitz provides, but as a graphic. The visitor clicks on the graphic to fill in the form and it takes them right to the FeedBlitz registration page. Very clever. FeedBlitz offers a “chicklet” graphic that keeps score of your registered subscribers count, similar to the Feedburner chicklet in my sidebar. That’s a link wrapped around a graphic, which will also go into your Blogroll or a Text Box Widget. Or inside a post or Page. Use your imagination on how to add your FeedBlitz email subscription link on your WordPress.com blog and report back here to describe it. There are a few things you may need to know before you begin integrating FeedBlitz into your WordPress blog. Remember, the email subscription is your feed. It will look like a feed, even though FeedBlitz adds a few styles to make it more readable. Graphics may or not appear and the design of your blog will not be anywhere in sight. Headings will be in black and links in blue or purple if visited by the user. If you are releasing only excerpted, “summary” feeds via your blog or FeedBlitz controls, links within the post excerpt may not appear in the emailed feed. FeedBlitz allows customizing what your subscribers will get in their email version of your feed. To a point. Pay extra and you can add graphics, logos, and custom text for the paid version. In the free version, you can specify which posts to include and not include in the feed email, and include an “Email to a Friend” link, comment links, and subscriber tag search options on each post in the email. You can control the length of the post’s content in the email subscriptions through options in FeedBlitz. If you leave the Maximum Entry Length option blank, the full post will be included in the email. You can set it to “0” to just show the post titles, or use a specific number of characters like 1000, which is equivalent to 168 words. The WordPress default summary cuts off at about 200 words. These options work only if you have turned on full feed syndication on your WordPress blog through the Options > Reading panel. If you have set your feed to Summary, showing only excerpts, the options you set for feed length in FeedBlitz will not work. Your blog controls the amount of content released through the feed. FeedBlitz cannot supersede that. What if you want one or more of your email feed subscriptions to be full posts not excerpts, but you also don’t want full feeds released from your WordPress blog? For example, I’ve just started a Weekly Digest category in which I will publish one post a week summarizing my blog’s weekly activities. To turn this post into a form of “newsletter” emailed to subscribers, I want the whole post emailed. However, with this blog’s feeds set to Summary, only the first 200 words of the post would appear in their email. Defeats the purpose of the Weekly Digest. Full version WordPress users have options to control how their feeds are distributed. I listed a variety of options in WordPress Plugins for Feeds. One example, the FeedBurner Feed Replacement WordPress Plugin, replaces the built-in feeds with FeedBurner versions. Through FeedBurner, you can customize the length of each individual feed coming from your WordPress blog. You can set a specific category to be excerpts and the rest to full feeds. You control the feed length options. WordPress.com bloggers don’t have those choices, though the option of turning over control of the feeds to FeedBurner is a very popular request. Once again, we work within the limits we have and get creative. The latest version of WordPress has what many think is an odd quirk, though WordPress developers claim it is now working as it should have always done. This quirk is the ability to control the length of the post content with the More Link on the front page of your blog, but also within your feeds. Set it, and both are set to cut off the content at that “more link” point, whether or not you have full post feeds enabled. While many WordPress users screamed and yelled over this, and Cavemonkey50.com’s Full-Feed WordPress Plugin was created to “put things back the way they were before”, WordPress.com bloggers can use this to their advantage. By setting your WordPress.com blog’s syndication to full posts, you can control which posts go “full” into your feeds and which don’t. You control the cut off point with the “more link”. With FeedBlitz, you can control this even further, if you want, or just let your blog control what goes out and what doesn’t. Just remember to use the “more link” inside of your blog posts to set the length of the post on the front page of your WordPress blog as well as in your outgoing feed. When you add more than one feed to FeedBlitz from your WordPress or WordPress.com blog, the title of the syndicated feed is the title of your blog. I added 5 feeds and each one was titled “Lorelle on WordPress”. I couldn’t tell which was which. Using the Basic or Advanced configuration panels, edit the title of the syndicated feed to the appropriate name such as the category or tag name. 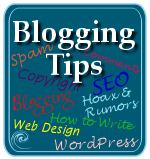 You can label it “Lorelle on WordPress – Blogging Tips” or “Blogging Tips – Lorelle on WordPress”, whichever meets your needs. I recommend the latter so you and your user knows which version they are getting and the keywords are right up front. Add a keyword rich description to your syndicated feed as that will be used in the emails to describe content. Keep it concise and clearly written so readers can tell as a glance what this incoming email is all about. Same with your post titles. If you aren’t writing keyword-rich titles that help the reader know what this post is about immediately, in their email inbox, your post is a click away from delete. FeedBlitz collects up all the subscriptions for a subscriber and sends them all in one email. This can make for a very long email. Make sure the email feed title and description are distinctive and clear to help the subscriber scroll down the email, quickly identifying what content is yours from all their subscriptions. Go through the rest of the options carefully on those configuration panels to make sure you have the time zone, content length, and other options set to what you need for this specific syndicated feed. You can set up email subscription syndications for a variety of content on your blog, not just the full site’s content. Email subscribers would only get emails from that specific category on WordPress Plugins Subscribe by Email. In Understanding, Using, and Customizing WordPress Blog Feeds, I explain many of the different ways feeds can be customized coming from your WordPress blog. You cannot, however, use the option of the keyword search of feed content with FeedBlitz. If a specific post is getting a lot of comments, or you want to offer email subscription to a specific post because it gets a lot of traffic and provides support for your product or services, you can use the feed found in the post meta data section of each post and add that to your FeedBlitz syndication list. In order to add a FeedBlitz email subscription to your blog post, you must publish it first. FeedBlitz must “find and validate” the feed before it will add it your syndication list. Copy the Comments RSS link from the post meta data section of the post. Add it to FeedBlitz via the “Add New Syndication” option. When it validates, copy the subscription link from the HTML Form page. Edit your post to paste the link in your blog post. Here is the example of the What Are Your Favorite WordPress Plugins Comments Feed Subscription by Email link to allow tracking of that post’s comments. What makes this option different from the WordPress Plugin is that the Plugin sends an email when a comment is published on the post. FeedBlitz sends out the email for the feed once a day after midnight Eastern Standard Time in the United States. Still, it’s an alternative. Before you go crazy with this, think about your readers. Think about your audience. Will they really use this? Some might. Some might not. Don’t use this if you or your readers won’t use it. If you have a strong readership and you want to offer them another way of keeping up with your blog, then this could be highly beneficial. People also don’t have time to waste reading a lot of content in an email. Huge emails coming in daily with full post feeds, especially if you post more multiple posts daily, can fill up an email inbox with a lot of “round tuit” emails (I’ll get “around to it” later). There is a growing trend for people to unsubscribe from feeds and email subscriptions because they are overwhelmed and just can’t keep up. Think about your audience’s needs and how best to make this work for them, not just you. With this in mind, your blog writing style should also change. You want to start your posts with the key information at the top, whether or not you are using full posts. Because people don’t have time to read long emails, get the critical information in the first paragraph. I highly recommend reading Writing With Post Excerpts and Feed Excerpts in Mind to help you understand how to increase readership when you write with attention-getting excerpts. If you need some help writing titles, see Writing Effective, Attention-Getting Headlines and Titles on Your Blog. Now that you know how FeedBlitz email subscriptions of your feed works with your WordPress and WordPress.com blogs, how do you think you are going to use this? Do you have some tips and tricks you’ve learned working with FeedBlitz and similar feed email services? This entry was written by Lorelle VanFossen and posted on April 4, 2007 at 5:32 am and filed under blogging tips, WordPress, WordPress Tips, WordPressDotCom with tags how to use wordpress, wordpress, wordpress help, WordPress Tips, wordpress tutorials, wordpress.com. Bookmark the permalink. Follow any comments here with the RSS feed for this post. Post a comment or leave a trackback: Trackback URL. Feedburner offers email subscription services, as well. I don’t know if they’re as robust as FeedBlitz, but I do think they’re more attractive. Great article! I had feedblitz subscription on my blog, but didn’t realize to offer a few more for different categories. thx! My friend uses that and I dont get any emails or anything. I’m not fond of it what so ever. @Amanda: check the spam folder with your email provider. Your friends’ blog emails are probably going there. I hope that one day WordPress.com integrates Feedburner support completely, even if it is only a paid upgrade. It’s such a nice service. Hmmmm…. Just couple of days ago you were writing about who owns our blogs if they are hosted on free services like blogger.com. In the same time I was implementing feedburner on my blog and naturally, question popped up. It goes for this service as well…. 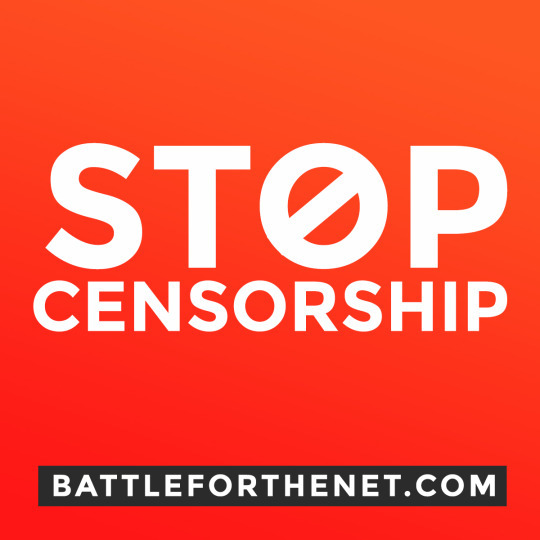 Who owns our feeds in the case of feedburner and feedblitz? I don’t want to be paranoid, but what happens if any of these sites change the terms they provide their services? It is not easy (if possible at all) to divert all readers back to original feeds. If one already has blog hosted on paid with full WordPress, why bother on diverting feeds (both RSS and e-mail) on third party service and risk possible fuure problems? Only benefit is shrinking bandwidth but that is usually expence less than 10$. I’m using the email subscription of feedburner. It works good for me. I can see in my page of feedburner who are the ones that have a email subscription. It is good to have because a lot of people don’t know what RSS-feed are. 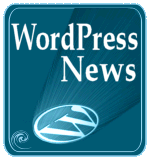 Lorelle (or any readers here),have you tried the wp-ajax newsletter plugin? I haven’t ried it myself yet, my blog doesn’t garner enough interest yet to make it worth implementing, but it would allow blog owners to retain control of their content. Feedburner has a paid upgrade that let’s you use map your feedburner feed to your own domain name so you control it. Switching to Feedburner for RSS can reduce your server load by as much as 50%. That 50% is still not much money. But if service dies all the blogs are in big problem. I already use FeedBurner, which offers an email option. It isn’t clear why I should add FeedBlitz as Yet Another Free Service? If you have an email service you are happy with, go with that. The tips within the article still apply, no matter which service you are using. I had checked out feedburner before and couldn’t find an email option. My research led me to FeedBlitz. There are actually very few email feed subscription services available. I’m thrilled feedburner is another option. I’ll check it out and see if the options are any different for inclusion in your WordPress blogs. I have a post on what I like about using FeedBurner. @lorelle: the FeedBurner email option only appeared a few months ago so that probably why most things pointed to FeedBlitz — it used to be the only game in town. @dandellion: yup, depends on your audience. 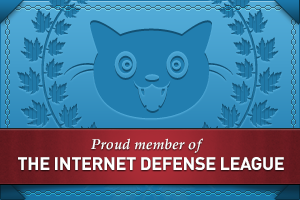 Jeff at Coding Horror has around 51,000 RSS readers so for him the 50% was a big deal. Lorelle, what makes this service better or different from FeedBurner’s or Squeet’s? dandellion, FeedBurner has an excellent record of operating with integrity. They make it as easy as possibly to switch away if you are not satisfied with their service. I compared Squeet’s features to FeedBlitz and found a few more options for customizability and control as well as future paid options with FeedBlitz. At the time I began my research, Feedburner did not offer an email service, so I haven’t investigated the difference between them, though others are reporting they like Feedburner better. It doesn’t change how the incorporation of the email feeds into WordPress and WordPress.com blogs works. Choose the one you like and use these tips to make the email subscription option work for you and your blog. With certain host providers providing the mechanism for creating your own email updates, what’s the advantage of an external service over rolling your own? Any concerns about someone else managing your lists? Manage? You have to be more specific. Do you mean am I worried that FeedBlitz or other feed services like FeedBurner abusing email addresses of subscribers to my feed through their services? Or do you mean manage as in email newsletters? The services that a feed service provides with an email subscription is limited to an email copy of your feed to the subscriber. I control the content on my blog. They receive the feed content from my blog, not a newsletter or personal email I write. The paid services include customization and adding content specific to the email along with the feed, but the free service takes my feed and emails it to the subscriber. That’s it. As for stealing and abusing emails, they would quickly be out of business if they abused that. Does that answer your issues about trust and managing these emailed feeds? The purpose of emailing feeds is to service the huge number of web users who are unfamiliar with feeds and feed readers, but who still understand how to communicate with email. My feed arrives in their inbox. on abuse: I’d rather have trust in service like FeedBurner than in in a blogger I read for the first or second time, that is dfor sure… that could be one of the pros of using service to do my feeds. On “paper” Feedblitz seemed like the perfect solution. I have started a blog but have 3,000 subscribers to an e-newsletter I want to phase out. I want to send these folks “occasional” emails and not pepper them daily with Feedburner emails. My experience is that the upgrades to Feedblitz are still very buggy. It took a half dozen back/forth emails just to get signed up for the Pro and Turbo versions. CEO Phil Hollow was very receptive in responding when figuring out how to get me signed up, but has disappeared now that I am pointing out bugs — I cannot import my subscriber list, the subscription form has magically mashed itself up with a draft of the email draft sending out the weekly RSS feeds. Who knows what other bugs are there? I am now checking out Zookoda http://www.zookoda.com which offers a similar service . Comments/suggestions/feedback is appreciated as I am finding alll this very confusing and time consuming. Very nice tutorial, especially about going the “extra mile” by allowing readers to subscribe to individual categories and posts. I’m trying to install the Feedburner Email Form on my new blog, but I can’t figure out which “location” to put the code in. The theme is Talian by Steve Arun, and he has all kinds of ?php if’s and such which I don’t understand since I don’t know how to program in PHP. If you could take a look and advise me where to put the code for the email form to appear on the sidebar, I would be forever indebted to you!!!!!!!! These will help you do it yourself, wherever you want to put the code. What happens when you use relative links in a post that’s then distributed by FeedBlitz? Does it know what the base domain address is an automatically add it? @Bill French: FeedBlitz works hard to convert any relative links it finds to ones that will work for your subscribers. Thanks, Bill of Feedblitz, for jumping in and answering that question. Also, we should not be writing blog posts with relative links any more, as I explain in Feeds Change How You Write Links, since feeds do work best with absolute links no matter how they are received in a feed reader or via email. i like feedburner better too. i can have so much out of it. as you know, wordpress.com doesn’t have an “email a friend” feature integrated in its system. but i can even have “email a friend” option for individual wordpress.com blog posts by feedburner. when clicked a feedburner web form appears. that’s one more reason to cheer for feedburner. Hi there, I’ve searched the web high and low for this…. Is it possible to add email subscription, such as Feedburner or Feedblitz to WordPress.com and configure it so that emails are sent INSTANTLY when a comment is posted? The issue of timing is left to Feedblitz and Feedburner, not WordPress. WordPress has no control over that. If you were not on WordPress.com, you would be able to use a Plugin that sends an email notification when your blog is updated, which has nothing to do with your feeds. Honestly, once a day is fine for most people to get a notification. Otherwise, they get burned out with too many announcements too often. Thanks Lorelle, that’s what I gathered with Feedburner and Feedblitz, although I believe there is a ‘turbo’ option which you subscribe to, to provide extra features such as more frequent emails. My blog is quite small and I don’t think there’s a risk of users getting ‘burned out’ I appreciate that wordpress.com and Feedburner are free services, so I guess I should just be thankful for what is provided. There is thankful, and there is common sense. The feed email services have nothing to do with WordPress. If you want instantaneous emails upon publishing, you can use the full version of WordPress – it’s free, too, but you have to pay for hosting – and then you can use a WordPress Plugin that will alert readers when you publish. I know this is an old post, so it may be that no one’s looking at it anymore. Getting an email subscription service like this is important to me, not necessarily for this blog, but I think its an excellent way of getting your blog out there. However, cutting and pasting the code above into my theme sidebar, it appears, but when I tried testing it, it took me through to a subscription page for some random blog about Buccanneers !! I assume this has something to do with the various ID numbers in the code, but I don’t know how to change this to my blog ? Can anyone help ? When you sign up for FeedBlitz or FeedBurner, or whatever feed email service you want to use, they give you an ID number. I’m sure you can figure out from the instructions where to delete the example number and use your new ID number. Also, use the instructions and code they supply, not mine. They may have changed the script since this was written. Their instructions will always supersede my own due to the lack of timeliness of such information. Email subscriptions are not as important as they once where. Feeds have surpassed them for most people, though it depends upon your readership. Now that this thread has been bumped back to life, any new recomendations out there? 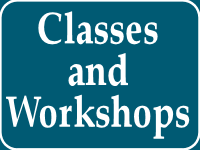 I am a newbie, and just set up a couple clients with wordpress(.org) blogs. I like the idea of a third-party sending out these emails, but which is best THESE days? feedburner and feedblitz still the main 2 options? Also, I would like it if REGISTERING for the service was integrated with doing the standard registration for the blog. In other words, I would like email subscribers to first be required to “register” for the blog, and then in that area, have an option to turn the email “feed” on or off. Anyone have a plugin or other solution for something like that? The one that works best for you is the one that works best for you. “Best” is subjective. I don’t know of a Plugin, but there might be one out there, or you could create one. The ability to opt in is critical. I (re)found this post and wanted to update everyone with some changed we’ve made that make Feedblitz a much more powerful email subscription engine for WordPress users. Firstly, we have a FeedBlitz WordPress Plugin, described and available for download at that allows visitors to sign up for mailings while they’re commenting or registering, all via a simple checkbox. It really accelerates list growth. Secondly, if readers are still interested in comparing FeedBlitz and FeedBurner, we have a comparison document available. (We aren’t independent, obviously, so use an whatever sized pinch of salt you feel like! ).